Capt. Gary Gregory prepared to raise the main sail aboard the Valiant in Marblehead. MARBLEHEAD — Gary Gregory first set foot on a sailboat in 1973, racing on the Charles River as a college student at the Massachusetts Institute of Technology. His collegiate sailing career has evolved into a tremendous love of wooden yachts, the aesthetically pleasing, graceful vessels that some purchase the same way they would a piece of art, he said. On Saturday, Gregory will hop aboard Valiant, his 64-foot yacht, with 16 or 17 crew members to compete in the annual Corinthian Classic Yacht Regatta, a Marblehead maritime tradition that attracts sailors and spectators from all over New England. The two-day event, hosted by the Corinthian Yacht Club, includes two 20-mile races over courses that start at the mouth of Marblehead Harbor. More than 60 boats will participate in the regatta. Races are scheduled to begin at noon on Saturday and Sunday. There are two races scheduled, but the race committee can alter, add, or abandon a course because of the weather. Despite the competitive edge, the race is more about the people, the excitement, and the beauty of the vessels. Cocktail receptions are held after each race. 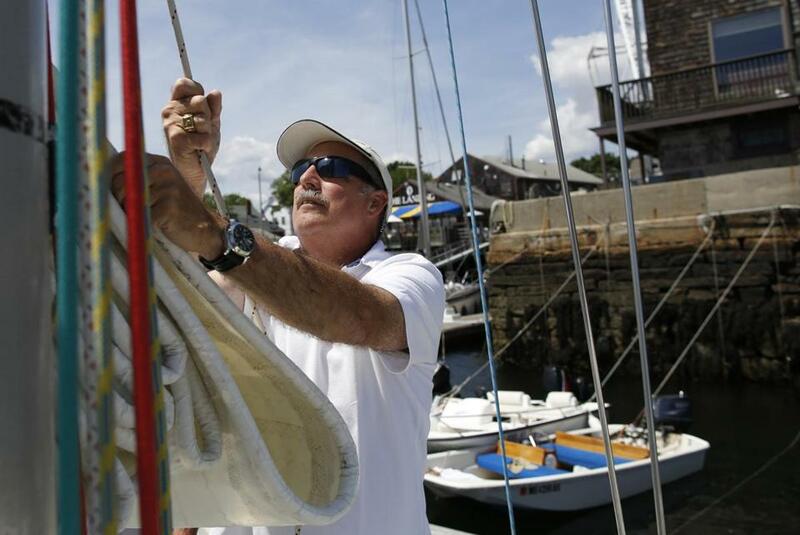 The Marblehead Chamber of Commerce hosts its annual Maritime Festival — featuring exhibits, vendors, and tours — Thursday through Sunday to coincide with the regatta. Timothy Dittrich, cochairman of the event and past commodore of the Corinthian Yacht Club, said that aesthetics, grace, and functionality are what make these sailing yachts such special boats. The Corinthian Classic is part of the Panerai Classic Yachts Challenge , the largest international circuit of regattas for classic yachts. Officine Panerai, an Italian watch design company, hosts the series. Panerai is in its ninth year hosting its circuit challenges and regattas, which extend to Europe and Antigua, but brought its Classic Yacht Challenge to New England in 2010 by launching three events, one of which was the Corinthian Classic. The Marblehead yacht club hosted the regatta for years prior to its partnership with Panerai, but under various titles, such as Corinthian Wooden Boat Regatta in 1999, and Foxy’s Wooden Boat Regatta North in 2003. The other two local events in the series include the Nantucket Opera House Cup Regatta, slated for Aug. 18, and the Museum of Yachting Classic Yacht Regatta off Newport, R.I., Aug. 31-Sept. 1.
International races in the 10-event series are held in Antigua, England, Italy, France, and Spain. Gregory won the New England series in 2012 by having the best three of five races in the Nantucket, Newport, and Corinthian Classic A regattas. But as the three local races approach, he said he is looking forward to simply being on his boat with his best friends. Organizers of the regatta are focusing on creating a fun, exciting atmosphere, as opposed to a cutthroat competition. Dittrich, who also will be racing, said the regatta is a distinguished event that recognizes the boats that sailors spend hours maintaining by hand. Despite the jovial atmosphere organizers are aiming to establish, competitors have some challenges they must overcome. Each boat must do bare-headed sail changes, meaning one sail has to be completely taken down before another one is put up. This rule was enforced in order to even out the playing field, as not all boats have the ability to make sail changes where one sail can come up before the other is taken down. Dyson added that it typically takes about seven or eight crew members to complete the sail change. If everyone does their job correctly, the chances of something going wrong are slim, but one small mistake can cause a “huge slowdown” in the boat’s progress. Along with specifically enforced regulations, participants must take the weather conditions into consideration. Captains and their crew must sail through whatever comes their way, whether the winds are strong or the rain is heavy. Terri Ogan can be reached at oganglobe@gmail.com. Follow her on Twitter @Terriogan.